An obsession with musical flawlessness takes a skin-crawling turn in the official trailer for The Perfection (starring Allison Williams and Logan Browning), coming to Netflix on May 24th. "The most buzzed-about movie at last year's Fantastic Fest, THE PERFECTION is an elegant and terrifying suspense ride filled with unexpected twists and turns. When troubled musical prodigy Charlotte (Allison Williams) seeks out Elizabeth (Logan Browning), the new star pupil of her former school, the encounter sends both musicians down a sinister path with shocking consequences. 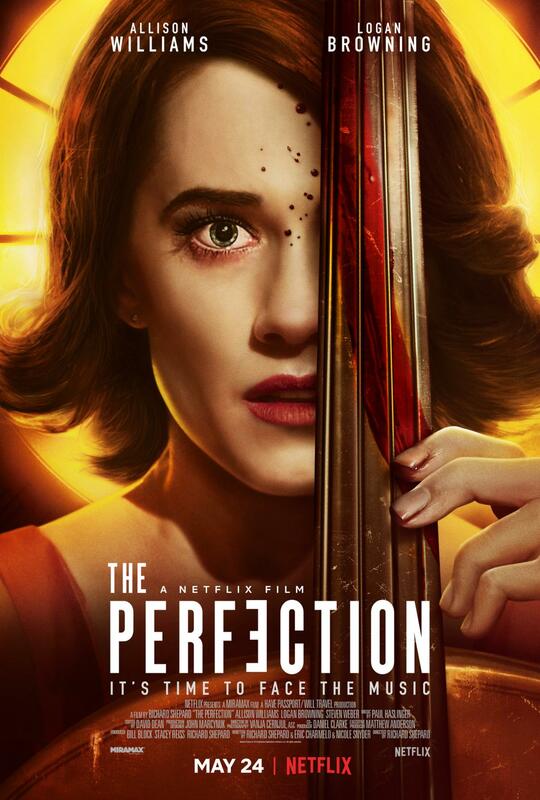 Overflowing with dizzying horror and sly dark humor, THE PERFECTION is directed by Richard Shepard (THE MATADOR, DOM HEMINGWAY, "Girls"), and written by Eric C. Charmelo, Nicole Snyder and Richard Shepard. The film will be released globally on Netflix Friday, May 24, 2019."